Descendants of up to seven generations of Estonians who homesteaded in Alberta, since 1899. Estonian born Canadians who arrived here with our parents. Estonians who for economic or political reasons have elected to call Canada home. Assimilated individuals who appreciate the circumstances and efforts made by those who came before us. Facilitate contact and current awareness among persons with an interest in Estonian heritage and culture in Canada, Estonia and elsewhere. The Alberta Estonian Heritage Society (AEHS) was established in April 2005 in order to have a single encompassing focal point for activities related to the members’ common heritage from the northern European nation of Estonia. Like other ethnic groups who sought land in the New World, the first Estonian pioneers in Alberta created communities and organized societies in the very early 1900s to assist one another with the challenges of establishing a new life in the harsh, remote and undeveloped farmland in the Canadian Prairies. Currently up to seven generations of Albertans can look back to their Estonian pioneer roots.Some Estonians left their homeland in the middle of the 19th Century, living elsewhere until finding a place for permanent settlement in Alberta. The European conflicts that occurred in the mid-1900s encouraged those fleeing persecution and loss of property to seek opportunities elsewhere in the world. Many Estonians came to Canada. A number of those settled in the province of Alberta. These new immigrants found refuge in the societies and communities originated by the early pioneers and in turn, contributed to the continuation of those societies. They also created new urban based organizations. Over time, the assimilation of Estonian-born descendants into the general population diminished membership in the societies to the point that only the Edmonton organization remained in formal operation.Some others continued functioning informally as communities. It was at this stage the Edmonton Estonian Society and former members of other Alberta organizations came together to establish the Alberta Estonian Heritage Society. Motivation for this act is partly due to encouragement from Lennart Meri, former president of the Estonian Republic, during his July 2000 visit to Alberta. A third, smaller wave of arrivals to Alberta, consists of emigrants who arrived after Estonia regained independence in 1991. AEHS is now an organization composed of members from all three waves of immigration and their descendants. The organization has evolved to one that celebrates the rich Estonian cultural heritage. In keeping with the Estonian tradition of song, dance and festivities, this kinship provides limitless opportunities for celebration. This is where we live. 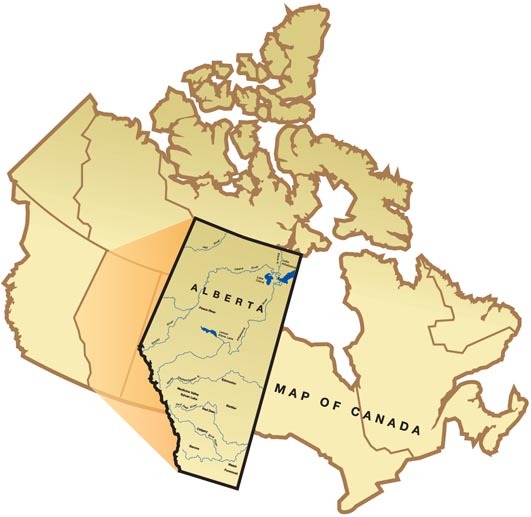 Canada’s province of Alberta. Information on becoming a member of AEHS, the benefits of membership, and registration form. Our Society’s programs and activities are supported by membership dues and financial support by granting agencies. Your generous donation to the Estonian Foundation of Canada will help ensure this in the future.